The FIRST™ Robotics Competition (FRC) is an annual, worldwide robotics competition that teaches high school students math, science, technology and teamwork in a varsity sport environment. In just six weeks, high school teams have to design, build, program and perfect 120-lb robots to compete with and against other teams. 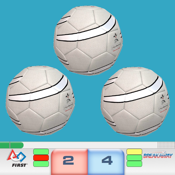 FRC Tracker puts the results of the six weeks of regional competitions and the worldwide championship event at your fingertips. Tracking 1812 teams competing at 52 events worldwide, FRC Tracker 2010 will follow the results of the events match-by-match. Thanks to The Blue Alliance for collecting team photos and information and making it available to the FIRST community.